The Fine Line Collective won the University Competition to design a mural for the Student Union Wall. 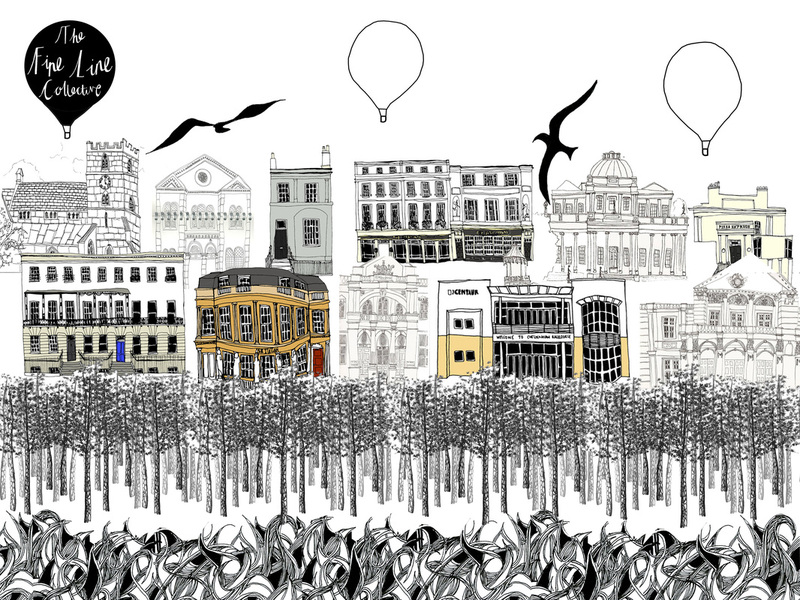 We based our mural around Cheltenham, Gloucestershire and the surrounding area. The image below shows our final design before it will be drawn on to the wall!